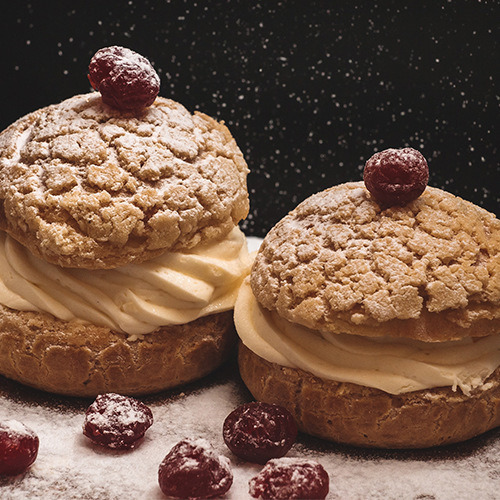 Puffed miracle from Italian recipes. Taste variety of desserts of natural ingredients. Italian home cuisine from the brand chef. Perfect cake for your celebration. Astonishing wines suited to every fancy. “О, MAMA MIA! HOW DELICIOUS IT IS!" The first mention of pasta production on Sicily island. In the 13-th century pasta was beginning to be sun dried which made it possible to store it during 2-3 years. It is the year of a first making of wheat leaven which, in 2016 was brought from Europe to Nizhny Novgorod city. Today, you can eat bread on its base at our coffee bar. 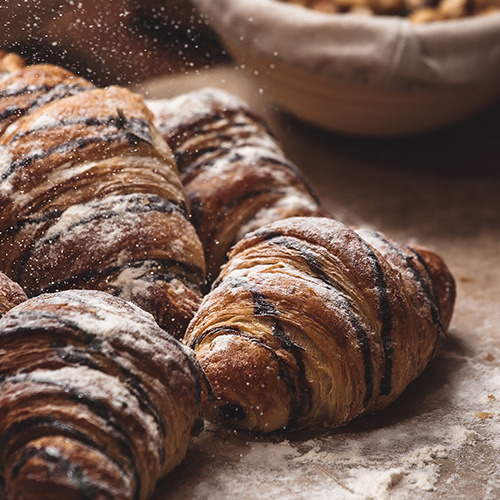 During our journey over Italy an idea arose to open a true Italian coffee and pastry shop in our city. The year of opening of a first coffee and pastry shop Barelli. I have visited your shop for the first time, and liked everything herein: baked goods melt in the mouth, perfect and pleasant service, homelike atmosphere! For sure, I will come here again! Many thanks to all your tem! Today I visited your bar for the first time. Primarily, I liked the quality of service: the staff is very kind and responsive here. When choosing desserts they explained all in details, and helped us to make choice. Moreover, I would like to make special mention of the quality of foods, particularly that of desserts. All was really perfect! Thanks! Today I visited your shop for the first time. Excellent service, very kind and polite waiters. I liked foods very much, particularly desserts! delight!!! Small Italy!!! All is beautiful and in style. And what appetizing foods. A thousand thanks. I had breakfast there: gruel was just a fairy-tale ! Cappuccino – best in our city ! Service: your come there as to the home, and you go away only with smile! Very pleasant atmosphere ! Many thanks! I have visited the over and over again, and every time I’ve been pleasantly surprised: dainty desserts, perfect salads, enjoyable atmosphere! Waiters – good for them!!! Nice work! That’s splendid that such a coffee bar appeared in Nizhny Novgorod! I have always been here with great relish. Gentle music, smiling and attentive waiters, and most significantly – all is very delicious. It is very convenient that you can look in at this shop, and simply buy bread or baked goods, and if you have plenty of time you can sit here for a while alone or with friends enjoying a pleasant atmosphere, especially when the outdoor terrace will be open again. Many thanks to the staff for their high-quality service. Keep it up! Travelling through Italy is always a gastronomic delight. How do they make it? At first glance, everything is very simple, but distinctively tasty! During one of such tours an idea arose to create the Italian atmosphere in our city, and to open an Italian coffee and pastry bar in Nizhny Novgorod. In 2014 we began to form a team of like-minded persons for our coffee bar – bakers, candy-makers, and cooks whose basic essential purpose consisted in creation of a coffee and pastry bar, where artisanal quick bread should be baked, desserts of natural farm ingredients should be made, and home Italian cuisine meals should be prepared. Our personnel received training at the school of bakers in Piemonte, Italy, where they learnt culinary subtleties and classical Italian recipes. Barelli is the name of the wholesome artisanal quick bread! Barelli are handmade desserts prepared of natural products only, accordingly they are perfectly suitable for our children! Barelli is the home Italian cuisine – simple, healthy and very delicious! 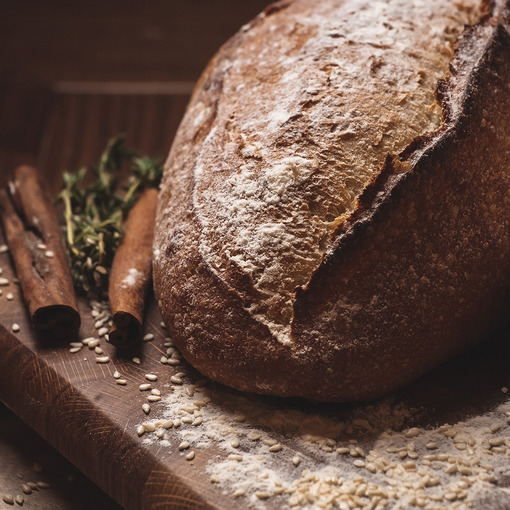 Barelli is the place of fine and scrumptious bread baking. Bread Barelli is only quick bread on a natural European sourdough. 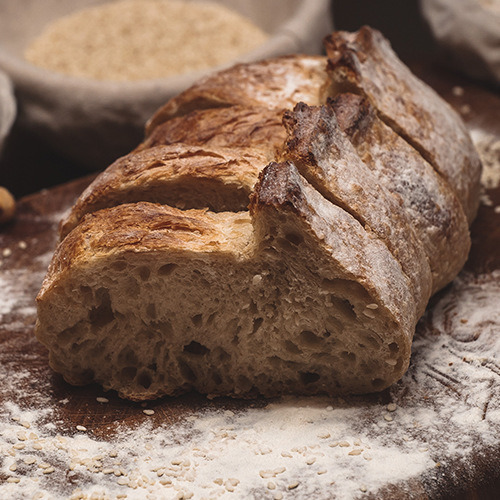 The flour of Italian and French manufacturers: whole-grain, roasted wheat, coarse-grained. The bread is baked in hearth (stone) ovens according to traditional Italian technologies, which makes it distinctively tasty and wholesome. Barelli — this is a coffee bar, a bakery and an Italian confectionery in Nizhny Novgorod — all in one place! 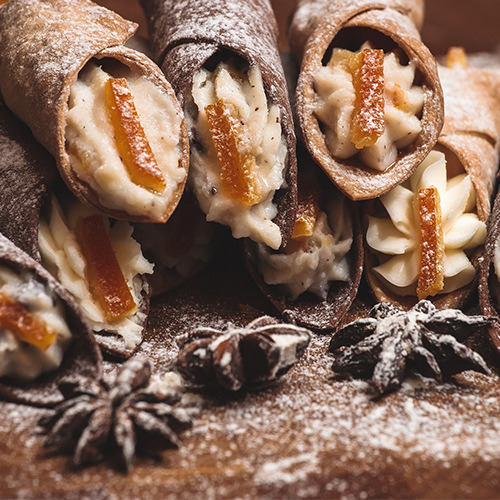 Desserts Barelli — are only natural farm products and traditional Italian recipes. Fillings of our cakes and gateaux are Ricotta and Mascarpone cheese, fresh berries and fruits. We do not use food additives, stabilizers and improvers, therefore the sale period is very short – only one day! These desserts are perfectly suitable for our children! Cuisine Barelli is the traditional Italian home cuisine. Home-made pasta, lasagna, ravioli. Pizzas are baked out of nonyeasted dough with fillings of Gorgonzola, Cheddar, Mozzarella and Parmesam cheese. Our salads, soups, risottos and raviolis are made of high-quality farm ingredients. The coffee bar is made in Italian style: a homelike interior appearance, an inviting atmosphere and an excellent service wait for you here – in the very heart of Nizhny Novgorod city! You will find our prices on the website in a corresponding section thereof. We care for your health! Every day our cooks and bakers prepare most appetizing and wholesome foods!